You and your bambino have places to go, people to see, things to do—now all that’s missing is a trailer (or at least one über-roomy bag), to haul all that baby gear in. 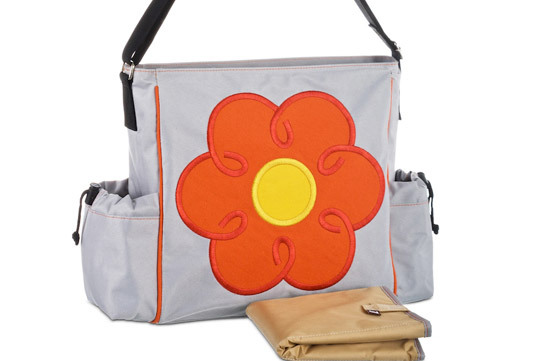 The perfect size for strapping to yourself or a stroller, Dante Beatrix’s adorable eco stroller totes are made from nylon derived entirely from recycled PET plastic bottles, and they’re trimmed with natural canvas. Each 18 x 5 x 12″ bag, which comes with an adjustable shoulder strap, a zippered closure, and pockets aplenty, removes six 16 oz. bottles from the waste stream. Another plus: Dante Beatrix throws in a changing pad for easy diaper changes on the fly, because when baby’s gotta go, he’s gotta go. You and your bambino have places to go, people to see, things to do�now all that's missing is a trailer (or at least one �ber-roomy bag), to haul all that baby gear in. 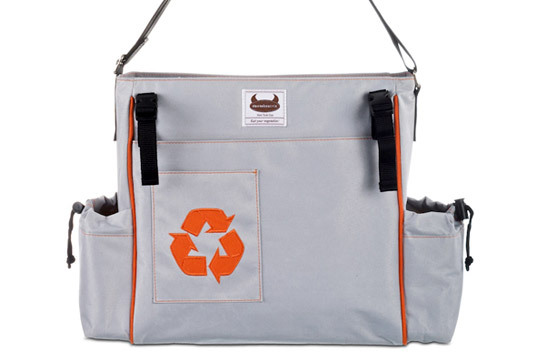 The perfect size for strapping to yourself or a stroller, Dante Beatrix's adorable eco stroller totes are made from nylon derived entirely from recycled PET plastic bottles, and they're trimmed with natural canvas.